Finances have been stretched to breaking point with demands for the latest ‘must have’ toys and more and more of us will be relying on plastic to get through the spending merry-go-round. The UK consumer debt figure has broken through the trillion pound barrier and British citizens owe more money than any of their European counterparts. In order to tackle the debt mountain of the future we need to be teaching our children good financial management skills. Why not start now? From sending thank-you cards to the investment values of monopoly, there are plenty of ways to teach your kids a little common sense when it comes to money. If a child can count then you can start to teach them about the value of money. Everyone can remember playing with plastic coins and a till - it’s a great way to learn the basics of buying and selling. It’s important to build rituals of good financial practice early on. Start them off with a piggy bank – if they receive money as a gift then they know where to put it. There are plenty of games aimed at improving financial awareness. ‘Pop to the Shops’ and ‘Piggy In The Middle’ are all suitable for this age range and demonstrates how to purchase and how to earn. The internet is also full of free games that you can download. Remember when your child does the right thing, praise them - they are far more likely to remember. 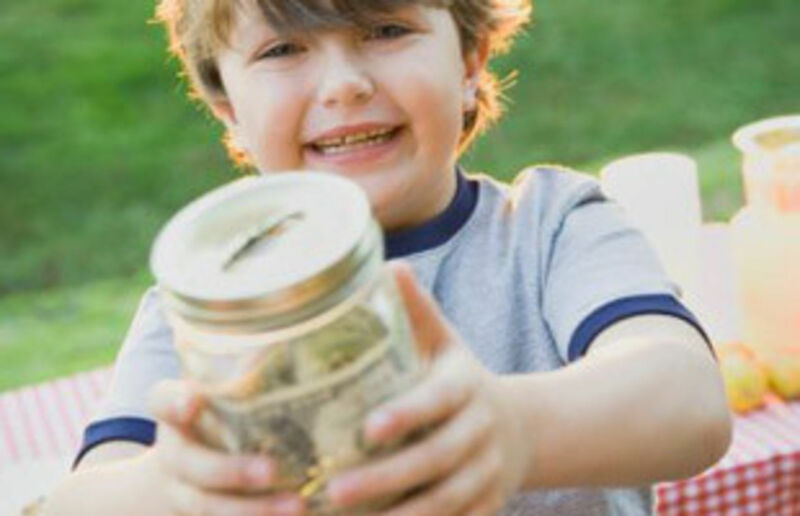 There are plenty of opportunities to learn to be financially savvy for the child who has just started school. Take them uniform shopping with you so they can see for themselves how much it all costs. Compare different brands and where savings can be made. Give them a small amount of money and task them with getting the best buy they can. Remind them to send thank-you cards after Christmas and birthdays. It’s not just about good manners but recognises that gifts don’t just materialise out of nowhere. A great way to teach a young person the value of staying in the black is to open a children’s saving account. You can explain how all the accounts work but until they do it for themselves, they wont fully appreciate it. More and more relatives are getting their younger family members a savings account as a gift. It may not be the present they would choose, but the merit of learning to put a little away and understanding about interest rates will be beneficial. There are hundreds of children’s accounts available with most of the major building society’s offering products for the junior investor.